In the Chinese culture the symbol of the red envelopes date back many centuries. It has been used in many celebrations such as weddings to bless the couple with abundance and good fortune to come and to ward of negative energies. It is usually a monetary gift that is given on holidays or special occasions. Other occasions such as graduations, birthdays, signs of respect for teachings and permission. Once the envelopes are opened they must be discarded or burned and never to be used again. The Red Envelopes in Feng Shui and other forms of energy work signify permission or honouring ancient teachings which is usually presented to a teacher or energy worker. 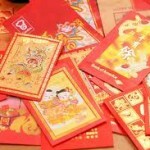 Depending on the depth of the spirit work that is done it will vary on the amount of Red Envelopes that is required. The teacher will let their students know how many is required to cover the energy flow. The Lightworker will let their clients know how many red envelopes are needed to cover the work being done. If a Lightworker requests them for their clients or students their desire is to work on a transcendental level to produce a much deeper and more effective result. In each of the Red Envelopes one dollar ($1) is placed in addition to the fee of the service provided. It can be red construction paper or tissue paper carefully wrapped in red paper. It can also be the traditional Chinese red envelopes with symbols and pictures on it which can be obtained at any Asian store or New Age store. Red envelopes can also be picked up at gift shops, card stores and department stores. The envelopes do not have to have any symbols on it just as long as it is red. These envelopes are then blessed when accepted by the teacher or lightworker and placed in a sacred place overnight to activate your energy and intentions. This is a powerful tool and escalates your results faster.